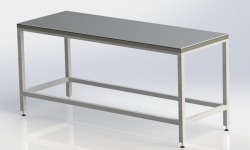 All constructions are produced using the highest catering grade (GRADE 304) stainless steel satin finish. 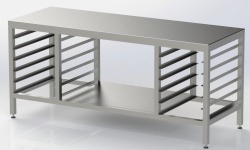 We provide a range of standard sizes but we can custom build to any specification as requested. Units can be supplied static with adjustable feet or mobile on castors (a wide range of castors are available). 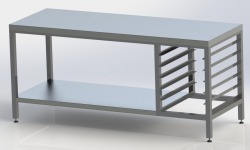 All tables and workstations can be produced up to 2.5m in length as one unit (units can be joined if required). 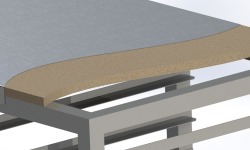 Standard tables come with MDF backing board under the table top to reduce noise and add rigidity to the work surface.